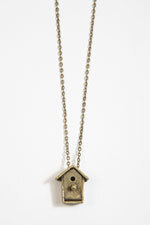 Thanks to everyone who entered the birdhouse necklace giveaway! I wish I could give you each a hug; every comment made my day. 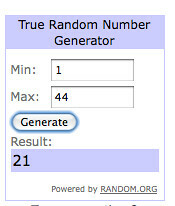 Comment #21, Nicole! I'm extra happy that she won because she's from Nebraska, one of my home states. Congrats Nicole! Shoot me an email at playinghouseamy[at]gmail[dot]com with your mailing address and your necklace will be on its way. Thanks again for stopping by, y'all!